It's easy to fall in love with Wisconsin's 15,081 lakes. Enjoying the peaceful atmosphere, fishing, boating, camping, swimming, or just relaxing are favorite pastimes. Whether you live deep in the city or far out in a rural area, fishing is a great outdoors activity that you can enjoy close to home. It provides a great chance to get together with family and friends, or the perfect excuse to spend time away from the pressures of everyday life. For some, fishing is an occasional hobby, but for others, it is a lifelong pursuit. Vist out state parks or national forests for a great camping experience while hunting, fishing or camping. Wisconsin public hunting land -Maps and location of public hunting land in Wisconsin. Get size, location, what type of habitat and principal wildlife. Also find out other types of recreation land is used for. Bowhunting-Looking for the newest in hunting equipment? Check out all the new products like bows, arrows, rests, sights and releases. See the new air-rest magnetic floating rest system. Wisconsin hunting pics- do you have a photo you would like posted? Get your fishing pics posted in our photo section. Deer Weight-figure a deer weight using measurements. Wisconsin Lake Maps-Tired of guessing where to fish on an unfamiliar lake? Print out your favorite lake.Over 1,800 printable topographic maps of Wisconsin lakes. Wisconsin Fishing Reports- wisconsin fishing guides with their weekly fishing reports. Wisconsin fishing pics -Did you catch some nice fish. Get your fishing pics posted in our photo section. Fishing Guides -Wisconsin fishing guide list. Guide services with web sites are listed first. Do you want to be listed. Contact us. Lake Link- Here you will find a wealth of information dedicated to the angler. From ice fishing to fly fishing and everything in between, you will find some great info here to make your next angling adventure a safe and successful one. Fishing Records-Wisconsin fishing records. From musky to bluegill and everything in between. Lake Summary-Number of named and unnamed lakes in Wisconsin, with total acreage by county. 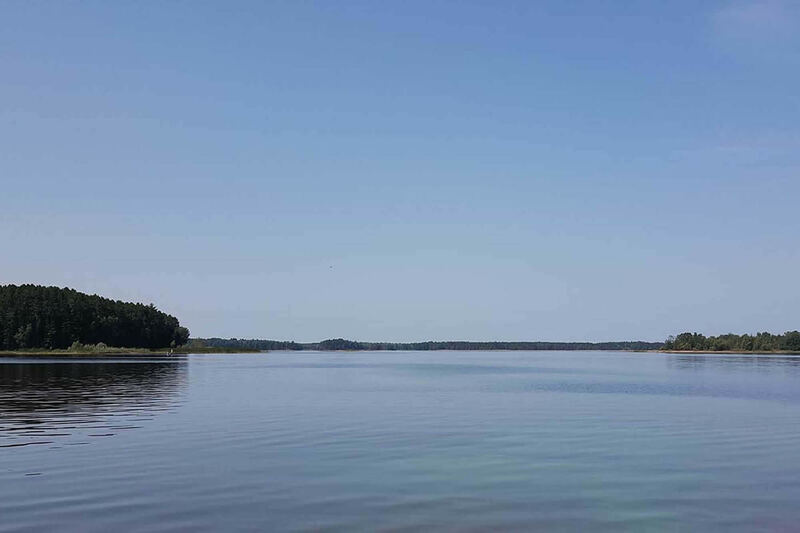 Wisconsin has over 15,000 named and unnamed lakes covering almost 1 million acres..
Lake Facts-Interesting Wisconsin lake facts, biggest lakes, deepest lakes, most common lake names, counties with the most lakes, counties with the least lakes. Campgrounds in Wisconsin are as varied as the areas around them--there are forests, prairies, lakes, rivers, hills, and valleys. You'll find campgrounds, trails, historic and archaeological sites, places for solitude and places for large group gatherings. There are also Campgrounds in county parks, state parks and national forests. A typical campsite is in a natural setting with road access, a fire ring, and a picnic table, and can be used by either vehicle or tent campers. But there also are backpack, walk-in, and canoeing -in sites, sites with electrical hookups, and sites designed specifically for either tent or vehicle campers. Public Hunting - Maps and location of public hunting land in Wisconsin. Get size, location, what type of habitat and principal wildlife. Also find out other types of recreation land is used for. Lake Maps - It's easy to fall in love with Wisconsin's 15,081 lakes. Enjoying the peaceful atmosphere, fishing, boating, swimming, or just relaxing are favorite pastimes. US Directory - Outdoor directory containing information on hunting and fishing guides and outfitters in the US. If you are looking to hunt or fish the from the wilds of Alaska to southern Florida, or camp in the wilderness you will find what you are looking for here. Listings of hunting and fishing guides and outfitters across the United States. State Parks - Wisconsin has over 80 state parks, forests and recreation areas within its borders. Listings include size, lcation areas of interest. Many locations have maps and addresses for more information. County Parks - Wisconsin has over 600 county parks throughout the state. Most parks provide facilities for picnicking, camping, boating and softball. Some are easy to find and others are out of the way. Information listed on how to get to the parks also. National Forest - The Chequamegon-Nicolet National Forest is located in Wisconsin's Northwoods, covering over a million and a half acres. The Chequamegon side of the forest covers about 858,400 acres in Ashland, Bayfield, Sawyer, Price, Taylor, and Vilas counties while the Nicolet side covers nearly 661,400 acres in Florence, Forest, Langlade, Oconto, Oneida, and Vilas counties. Canoeing - Descriptions of rivers and maps of 26 rivers and 87 canoe trips in northern Wisconsin. ATV Clubs - Listing of ATV clubs by area. - Taxidermy - Listing of taxidermists in WI. Knives - Complete listing of different brands of knives.